Roberta's is always at the top of my list when the craving for a delicious wood-fired pizza hits. The crust is the perfect mix of doughy, chewy & crisp with a slight char. The restaurant be a bit of a trek for some all the way to Bushwick, but I promise that is all part of its charm. While it's easy to focus and fill up solely on their delicious pizzas, definitely do not miss their unique take on vegetables, which vary based on what's fresh and in-season. 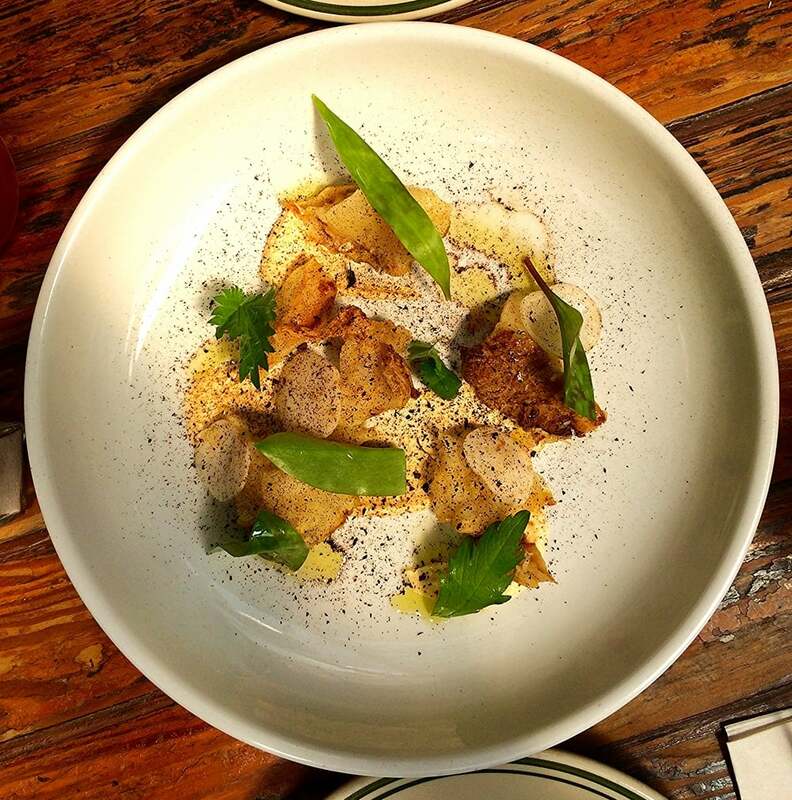 The dish below, featuring sunchokes, was particularly memorable. If you end up having to wait for a table, which you more than likely will, go sit out back and have a drink at the outdoor bar.